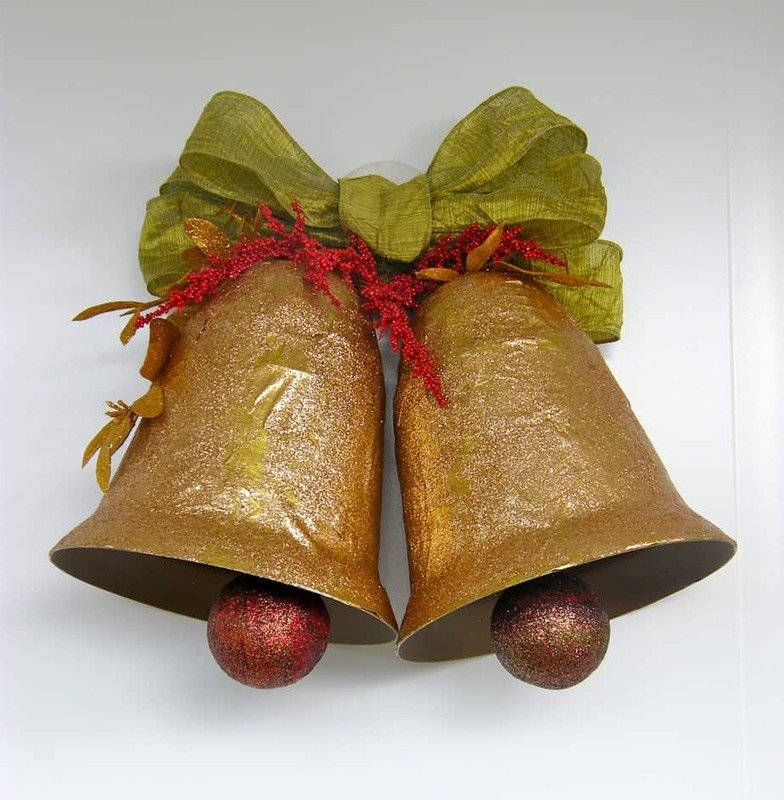 I like big bells and I can not lie! Well I like little bells too as you can see on Day #2 with my Burlap and bells. But what is different about today you ask? 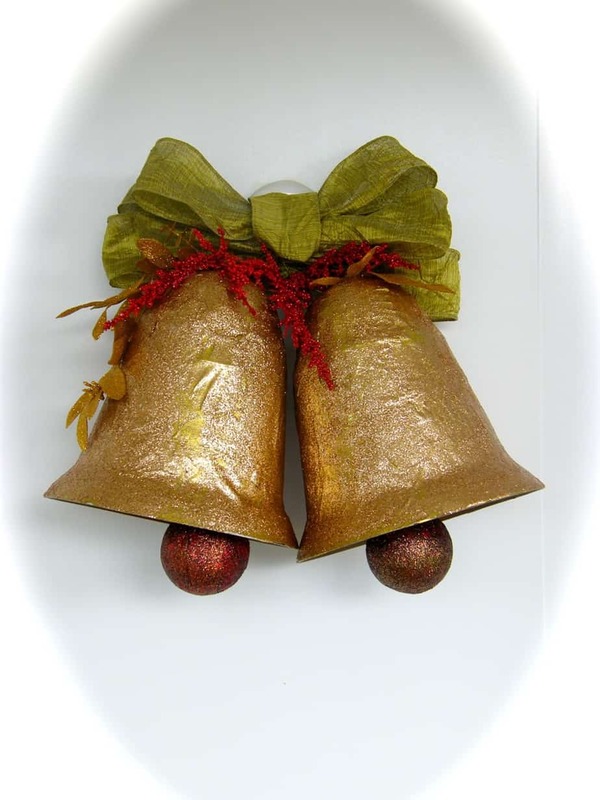 Today I’m going to show you how to make this Christmas bells door decoration. You won’t believe how easy it is!! Let me tell you this though, I didn’t intend on doing a tutorial so the photos I have aren’t top shelf, but you’ll get what you need to know. Please read on… (and follow along to keep getting all the Fynes Design goodness). You will need 1 styrofoam ball and two plant pots (size of choice). The equator of ball should be similar in size to the bottom of the plant pot. You will also need two small styrofoam balls and two skewers. Cut styrofoam ball in half with a knife and hot glue to the top of each plant pot. Paper mache exterior of plant pots using Mod Podge and wrapping paper. 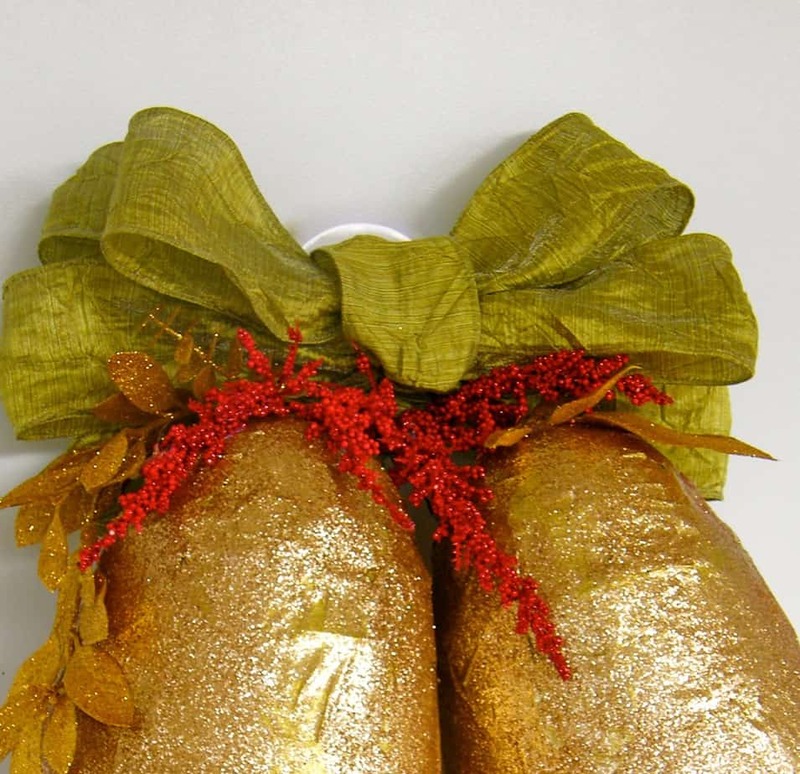 Sprinkle with glitter and apply another coat of Mod Podge. Poke skewers into small styrofoam balls. Paint with Martha Stewart multi surface glitter paint. Put a large blob of hot glue on a water draining hole inside the plant pot. Poke opposite end of skewer into hole, about an inch into the larger styrofoam ball. To hang, poke a U shaped piece of wire into each Styrofoam top. The curve should be facing the ground and when poked in turn the curve to the top. Make a large bow with May Arts Ribbon attach to hanging wire. I hope you’ll try this tutorial to make some bells of your own. 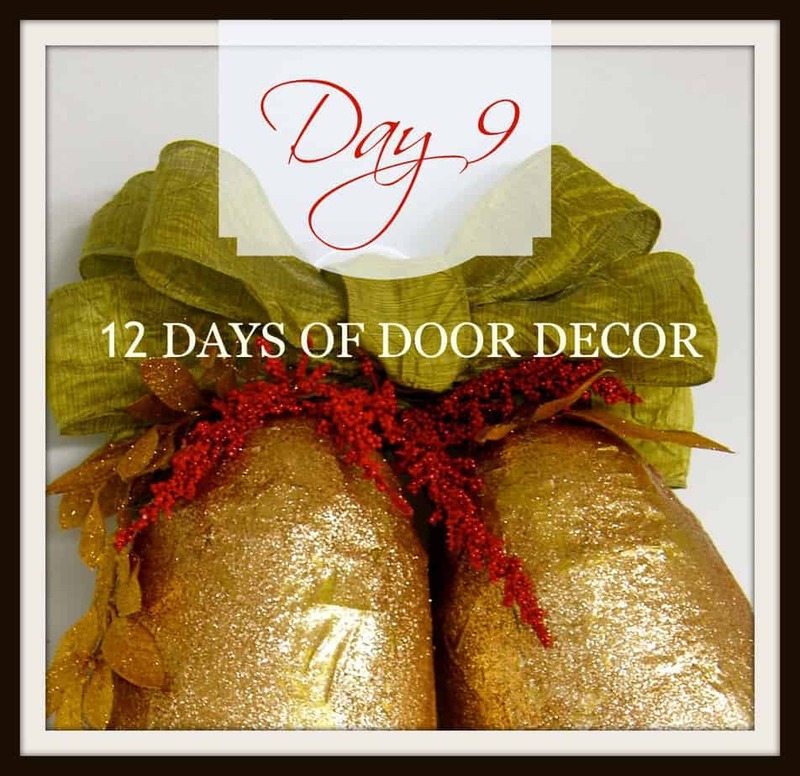 You can make them any size, small or large, they can be added to a wreath, used on a tree, or they can stand alone to create a stunning decoration. Thanks for stopping by today, see you tomorrow for Day #10! Fabulous!! I love all the holiday projects you’ve been sharing!